AND….enter the promo code* SALE at checkout to receive an additional 20% off! I just bought mine and paid only $28. Once I use the gift card, it’s like paying only $3 for the membership! *Act quick! The promo code expires tonight at midnight! 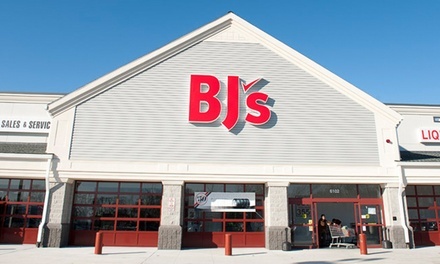 I do not shop frequently at BJ’s but when I do, there are a few great deals to be found. (One of my favorites are the LARGE containers of organic spinach, baby kale and salad mix that start at less than $4!) Plus, you can pair manufacturer’s coupons with store coupons, which you will receive in the mail and when you enter the store. This entry was posted in Capital Region Deals, Deal a Day Sites and tagged Bj's Whole Club, Groupon. Bookmark the permalink. ← Today’s Edition of the Times Union- Loaded with Coupons!